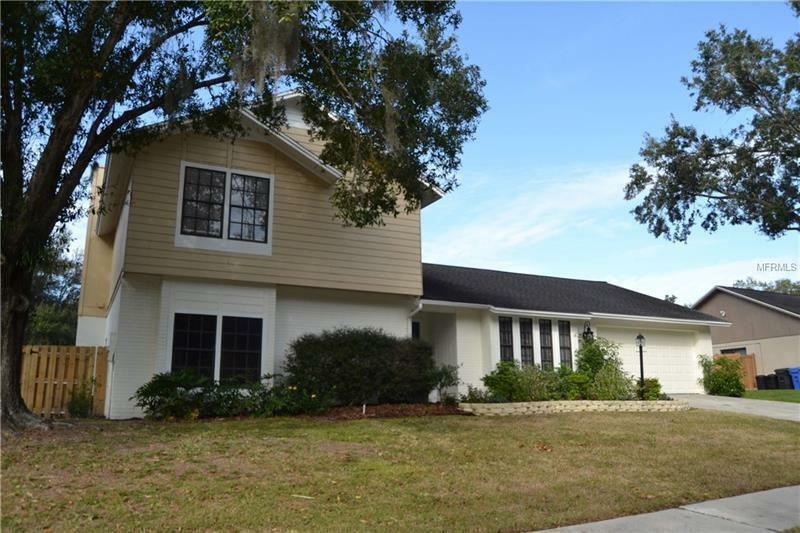 Located in what neighbors call "Hillsborough County's best kept secret" this Valrico home offers something for everyone. If it's a little more room you're looking for the house features more than 2600 square feet under air and is situated on a lot that checks in at over a third of an acre. The fully fenced back yard has a large stone fire pit and patio for get togethers and a play structures for kiddos and grandkiddos. Inside the home offers space for the whole family with 4 bedrooms three full bathrooms and character throughout - tri-level design window trim interior door paneling built-in storage and shelving and more. Those seeking updates will find updated flooring and carpet (2016) kitchen with stainless steel appliances interior paint (2016) and exterior paint (2017). The one bedroom on the first floor makes a great playroom office den or private room for an independent teen or mother-in-law. Upstairs there are three bedrooms including the master suite guest rooms and a completely renovated guest bath. Other notable features of this desirable home include a screened lanai over-sized mud/laundry room new water heater (2018) wet bar brick wood-burning fireplace updated baseboards and more.